What is Accountability & Internal Control for Information Technology (“IT”) centered around? We believe building a focus on IT into the pre-existing internal control environment of the State of Vermont allows for alignment of the 8 goals above and naturally greater accountability. The build out of the Internal Control environment is centered around understanding and documenting the current state and our future planned state into a logical framework. Who benefits from organizing IT into a logical framework and what are the characteristics of the framework ? The Users of Accounting Information (“Users”) have been defined as the Legislature (and their constituents), Programs and Agencies Supported by Information Technology, Statewide Contracting & Procurement teams, the IT Leadership as designed by the Executive Order, and the Chief Performance Officer for the State of Vermont. To better serve the Users we have begun to organize the IT Spend data for the State of Vermont across 9 IT Towers. 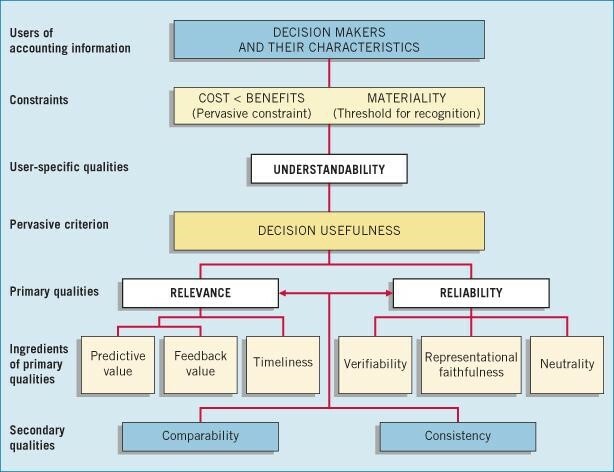 We believe that organizing our people spend and non-people spend into these towers is the best approach to meet the user-specific qualities (Understandability), pervasive criterion (Decision Usefulness), primary qualities (Relevance and Reliability), and secondary qualities (Comparability and Consistency) as illustrated in the schematic above. Our initial task is to organize IT spend into 9 IT Towers which are a common view of IT in industry and government. What does the structure of the framework look like (ie. the 9 Towers)? What is the timeframe to complete this and provide the needed transparency/accountability? A mapping of the Vermont IT Spend into these towers will be complete for the people portion of the spend in December of 2017 and for the Non-People spend it will be formally completed by August of 2018. In those time-frames the site will be updated with more quantifiable data.